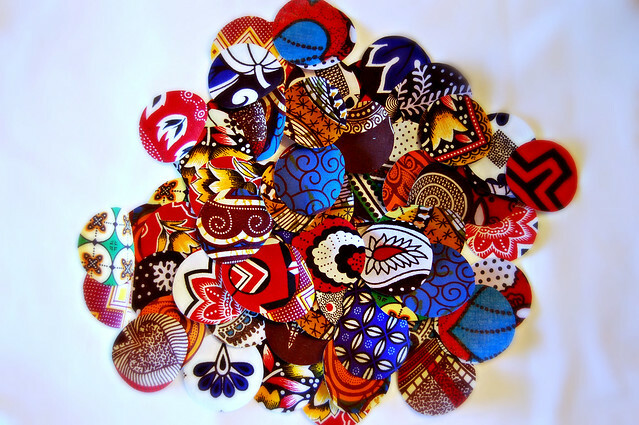 For a future project: African wax print fabrics cropped into tight little circles. It may be a month or more until I’ll be able to start on this one, but I’ve found that giving myself a head start on a project makes it so much more likely to jump from an idea to a reality. I’m part way there already, right? This will be a wall quilt to be auctioned for Mother Fighting for Others. But for a good chunk of the long weekend, I’ll be sitting with my feet up, watching movies and working on lots of luscious purple binding. 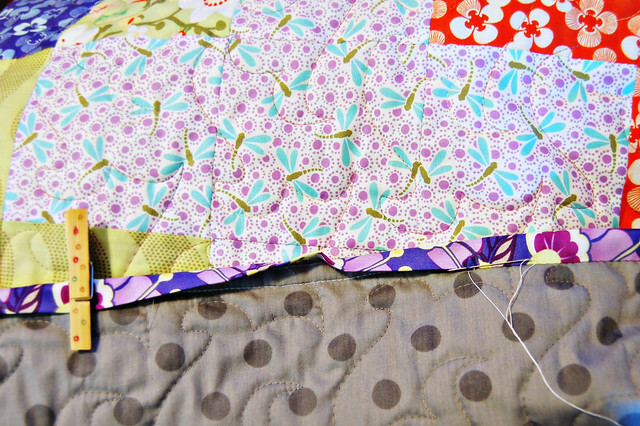 ← Currently: Binding, Binding, Binding! They are really so interesting in person, I hope I can do them justice!